There are some celebrities who are synonymous with cannabis. While some try to hide their recreational use others build a brand around it and link their public image to the herb that we all love so much. Tommy Chong for example, built his entire career around smoking weed, starting as part of the hit comedy due from the 70’s “Cheech & Chong”. Who would have guessed that this goofy stereotype stoner would go on to build a successful cannabis brand and push the marijuana industry forward almost 50 years later? 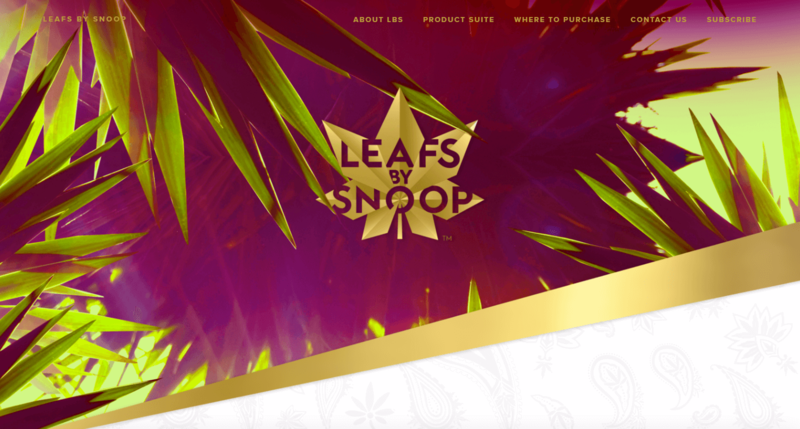 Here is our list of celebrity websites that feature fantastic cannabis web design. The design of the Marley Naturals website is as smooth as reggae music from the legend himself. The site is right in tuned with the profile of Bob Marley with its sun-faded colors and clear message. The logo and much of the branding is made by the high end Seattle design agency Heckler Associates and it’s clear that no expense was spared. The large imagery and big bold lettering makes the navigation easy and the video in the header keeps the visitor interested past the initial excitement. 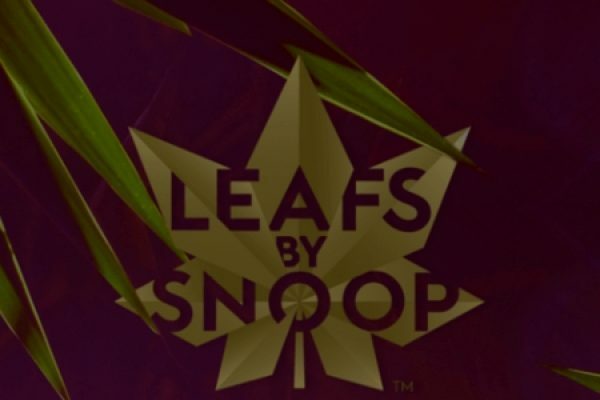 Snoop D-O-dubble-G, another music legend who ventured into the world of legal cannabis sales. The sites’ gold, royal blue and palm green color scheme play in perfect harmony along with his logo and packaging. He is using classic sun-kissed California photography and a low word count to help the visitor focus on the essentials. Click on any product image on the site to learn more about the product. Navigation does not have to be any more difficult than that. Willie has been a spokes person for legalizing cannabis for decades. 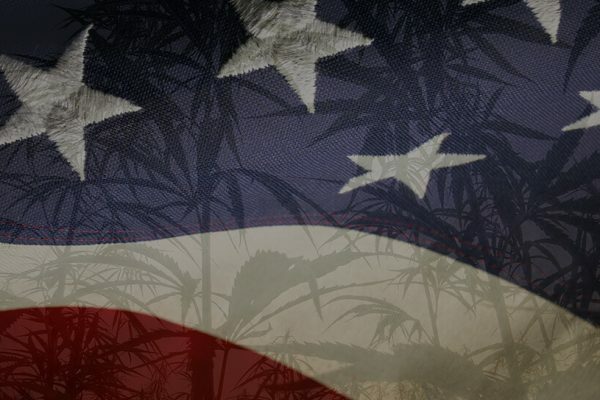 When legalization started happening in certain states like Colorado and Washington, he wasn’t slow to invest. The website is simple, clean and pure and that’s just what we like about it. 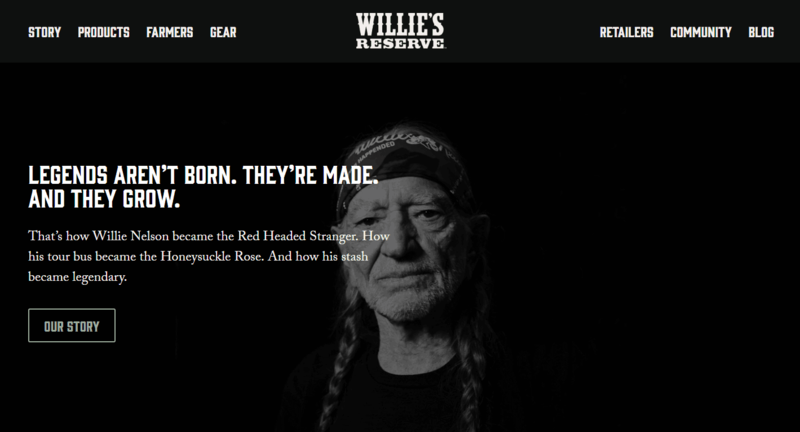 California marketing agency Rival did a great job of summing up Willie Nelson in one simple yet beautiful website. Pay attention to the custom made fonts, dark colors and ease of use. Tommy Chong has gone from being Americas favorite stoner (sorry Cheech) to being a rather sophisticated and classy gentleman. This is beautifully summed up in his website Chong’s Choice. Big bold sans serif lettering working in harmony with softer serif fonts. The store features his popular clothing line and is seamlessly integrated with the wordpress solution. Long before reaching their consumers, new cannabis brands must jump through many hoops and are confronted with major challenges. There are long lists of paperwork and legal hurdles to tackle in order to stay compliant with the new and ever changing legislation. Not to mention the fact that, while cannabis may be legal on a state level it still is illegal on a federal level. On the long journey of starting their brands, many are tempted to skimp on the web design and lose focus on the overall harmony of their branding. 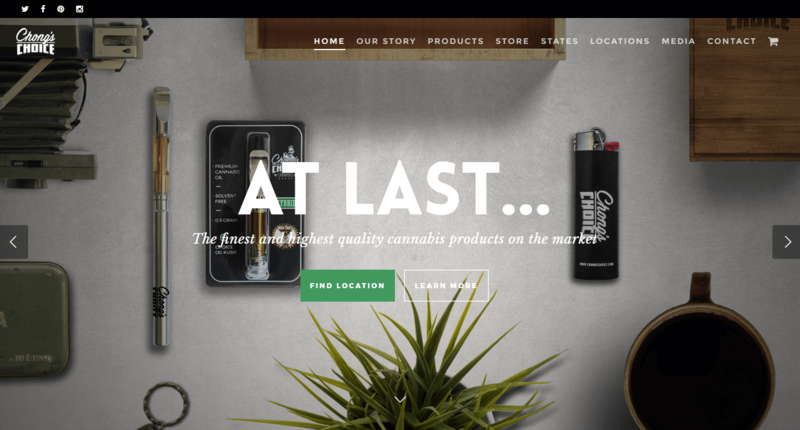 Others however, maintain laser focus on their end goal and developed amazing cannabis web design that goes hand in hand with their packaging, logo and products. This is our list honoring those brands. Red River Cannabis Coalition has a sleek and modern website with classic undertones. The old western logo font contrasting with the modern headlines and brings strong colors on the black backdrop is unapologetic and bold. If you want to stick out in and industry you have to be bold enough to make a statement. That’s just what R2C2 is doing on their website and equally impressive Instagram account.  Check out their website or if you’re in Edmond, Oklahoma… Check out their dispensary. When you’re building an all-in-one CBD mega store you need to think about structure and ease of use. 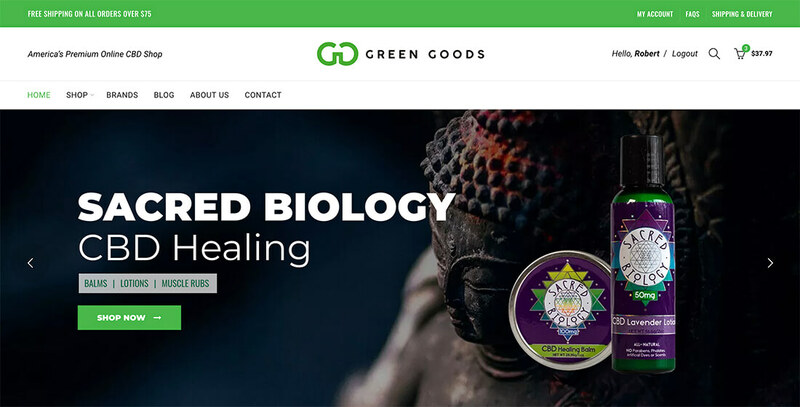 Green Goods is achieving both with their web design that focuses on the products at all times. Whether you are shopping by CBD type or by your particular reason for taking CBD, you will not have any problems finding exactly what you are looking for. 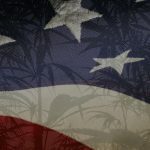 It’s not just in The US that people are falling in love with CBD hemp flower. 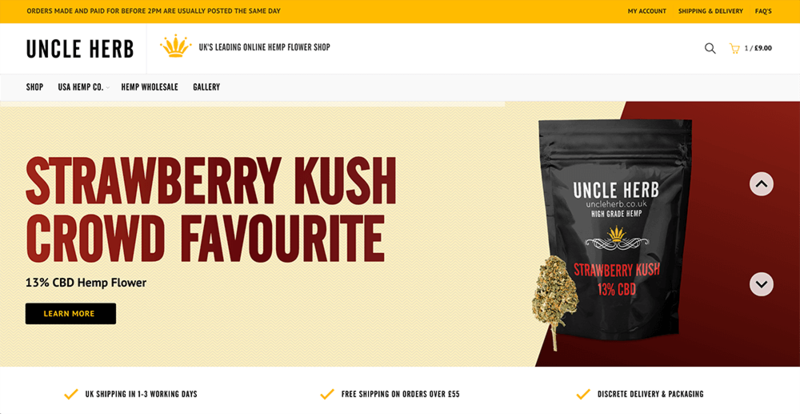 When British hemp retailer Uncle Herb contacted Cannaverse needing a complete redesign and logo update, we jumped at the opportunity to help them shine. With bold, strong colors and a regal touch we refreshed their entire look to better fit their brand and target market. The new branding will allow Uncle Herb to not only be the main retailer of CBD hemp flower in the UK but also to look the part. How do you sell wet-wipes online? You niche down and make the buying process ridiculously easy! Can-A-Wipes is the original cannabis wipe that controls odor, removes resin and oil from everything from hands and surfaces. 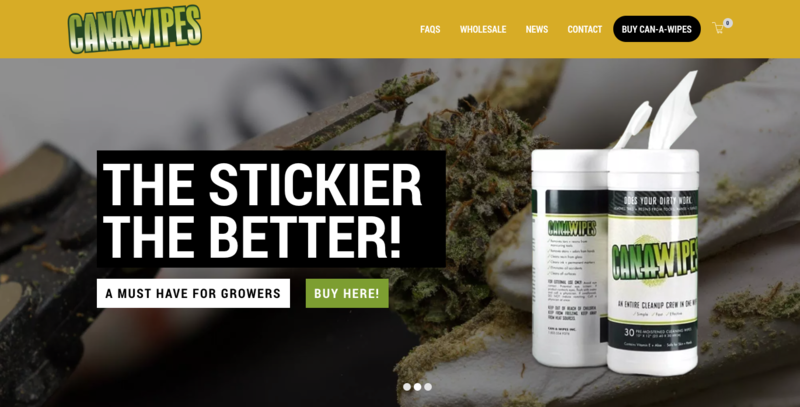 When they decided to go after online sales they came to CannaVerse to boost SEO and conversions. 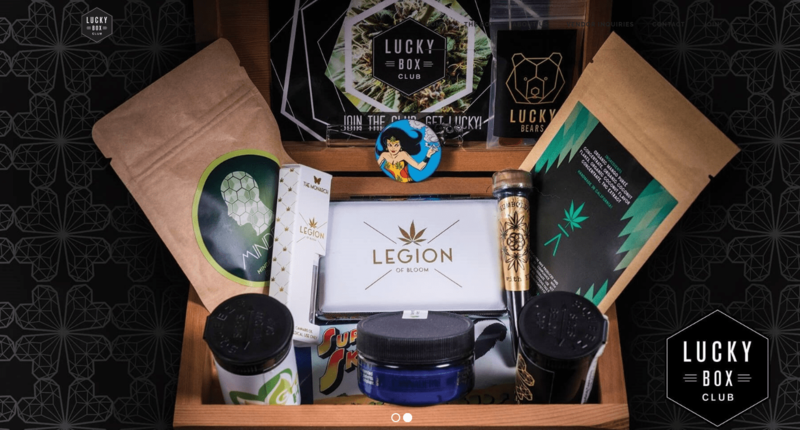 Lucky Box Club teamed up with us at CannaVerse Solutions to rebuild and rebrand their website and bump up their SEO. We wanted to build the web design around the “hard and edgy” hexagonal logo while taking advantage of the “lucky” branding opportunity. We chose to build it with flat and square design elements but mixed in some surprising or “lucky” softer elements such as the rounded fonts and green color. 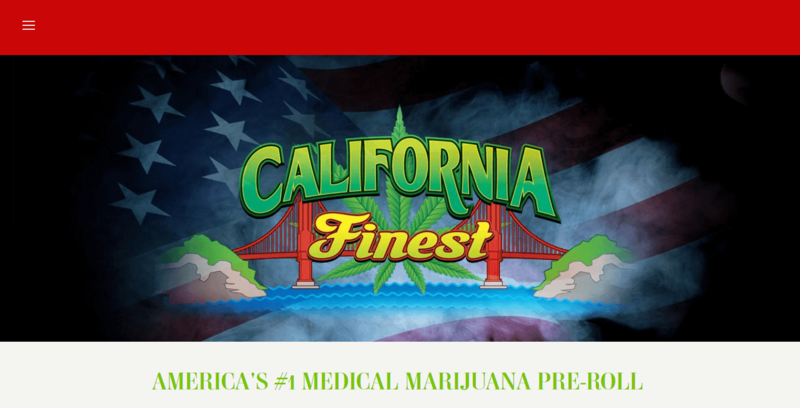 Lucky Box Club sell cannabis subscription boxes in California so we had to make sure to add an age verification gate. There are some brands that need to attract cannabis clients while not scaring away the non-cannabis clients. One of those brands is Spring Pot. They sell fabric pots that are designed for higher yield and better cannabis growth. Their main market is the cannabis grower but a significant amount of customers are regular gardeners and home growers. For obvious reasons the non-cannabis clients may be scared off from putting in their credit card info on a marijuana related website. 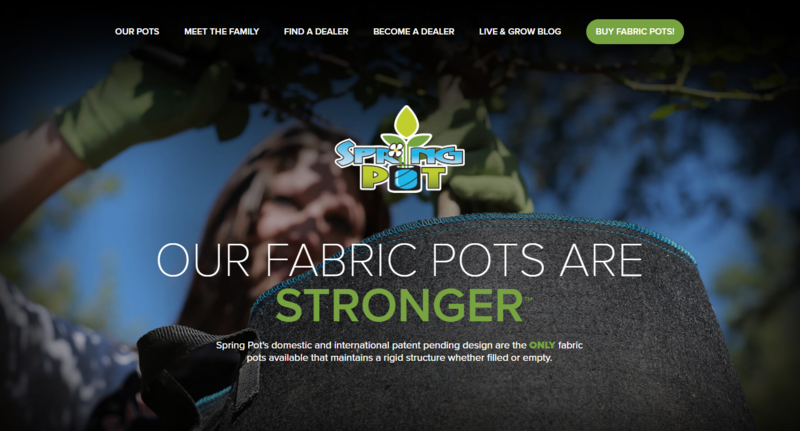 Spring Pot is doing a great job of keeping their design free from cannabis leafs and icons while weaving in testimonials by cannabis growers who are known only to the cannabis growing community. When you have an e-commerce store it is difficult to match design with user-friendliness and conversion rates. Oji Vape has done a great job of keeping their vape shop nice and clean while still incorporating a vivid and fun color palette. If you are starting an online cannabis store, you should learn from Oji Vape and try to create a mobile friendly and easy to use process for your users. A niche site made for the growing vape cartridge industry. 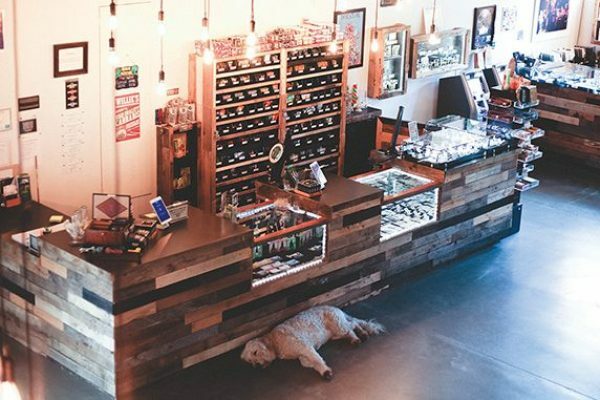 As small businesses fight for clients to buy their vape pens, cartridges and batteries, VCP decided to help the brands stick out on the dispensary shelves and online stores. The minimalistic and clean design help to put focus on the product and streamline the user experience. Pricing that automatically adjusts for wholesale orders incentivizes buyers to add more to their cart. Mirth Provisions teamed up with Oregon design agency Sockeye to produce the branding of the entire company. From the logo to the bottles and sprays, Mirth is keeping their branding intact. The website is beautifully made focusing on a fun and creative video along with a theme using the characters from the video. They use white space perfectly which always keeps the design looking fresh and fun. Just take a look at the beautiful video clip from the “Legal drink” page. 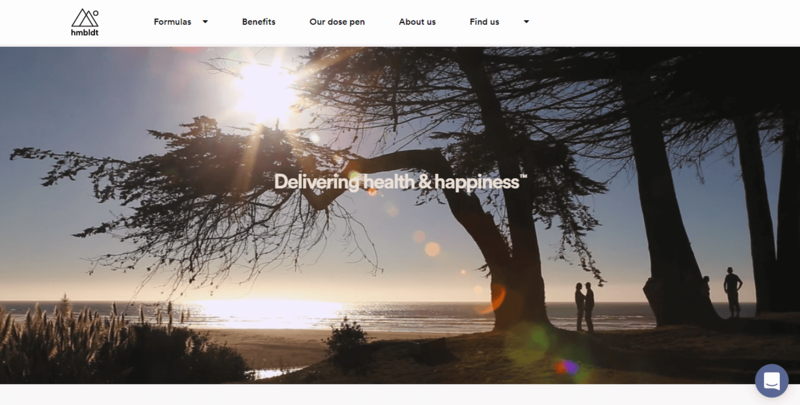 Hmbldt Dose Pens is a great example of how to target the medical cannabis user. Their products are made to help their users feel better, more relaxed and peaceful and this is just what their website conveys as well. Soft colors along with videos of peaceful and calm moments spent in silence gives the visitor a fast read of the product even without reading the messages. 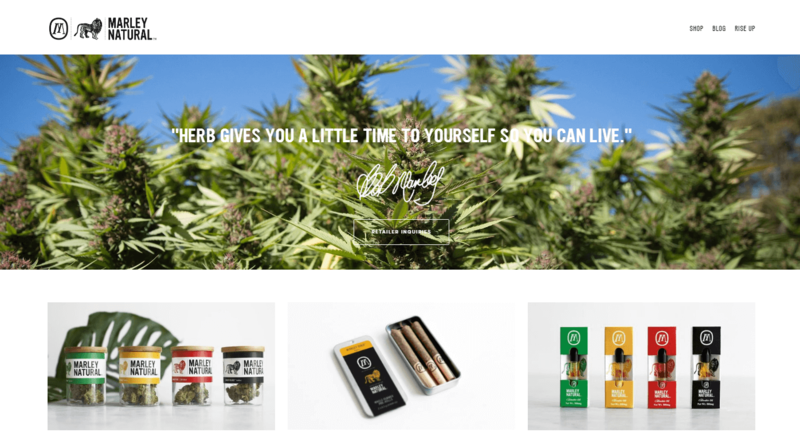 Pharmaceutical companies need to learn from Hmbldt and their beautiful cannabis web design. 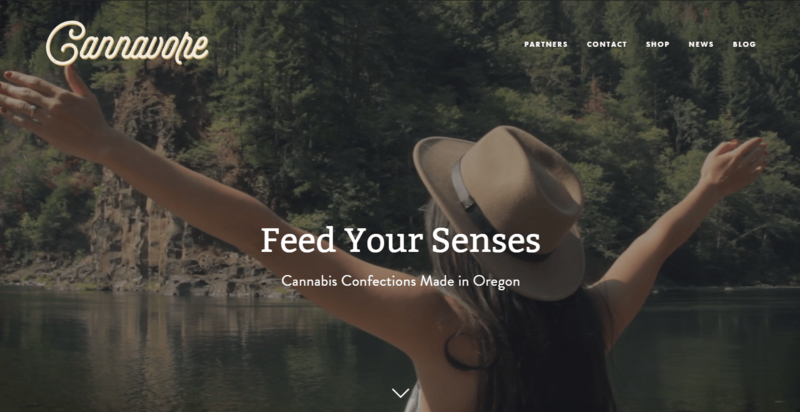 “Feed your senses” is their tagline and that is just what they are doing with their website as well as with their confections. Once again it is the great use of video and photos that make this website so beautiful. They are using soft fonts and are trying to remind us that it is in nature that we will find the best of treats. Go to their blog to see fantastic use of white space and crisp black fonts play in harmony. Good job Cannavore! 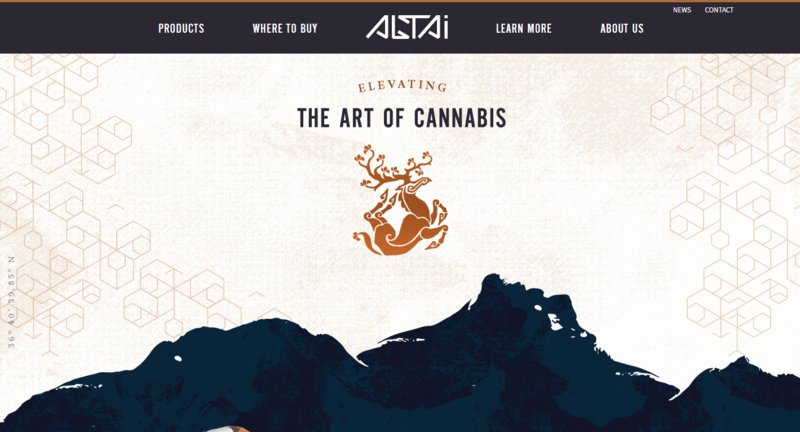 Altai Brands sell delicious high-end chocolates and caramels infused with marijuana. Just like the top chocolate makers in Switzerland, Altai is using a royal branding style with crowned animals and mountains. Gold and deep blue colors along with hexagon patterns is further establishing the quality of their “bon bons”. Their product photography is phenomenal. 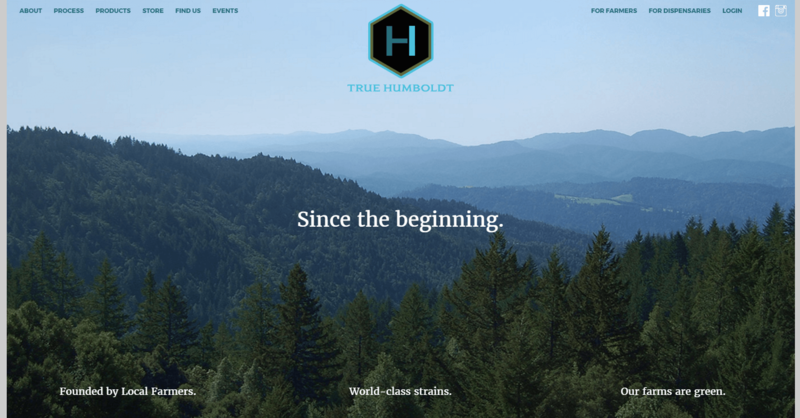 True Humboldt is taking a very futuristic and minimal approach to cannabis web design. They are using shades of blue and gray with highlights of strong green and red to direct the attention of their visitors. Humboldt is joining some of the other features on this list in using the thc hexagon in their designs. Just look at their product page for a great example of hexagon use. 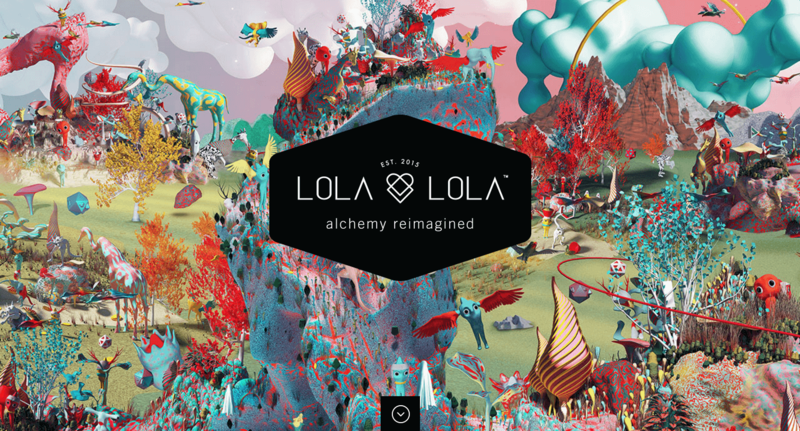 Lola Lola’s web design is fun, colorful and almost psychedelic. Look at how beautifully they are able to integrate so many colors into one single page. This is a great example of how to break all the rules of web design and still make it work. That takes talent and hard work. Note the unique characters that represent each of their products. Now this is how to take California street pride and put it on a web page. Everything from the artwork, the fonts and the color scheme just screams California. Strong, unapologetic colors and a big product line displayed right on the first page makes the visitor want to open up tabs and look closer at each individual product. At the bottom of the page they are featuring their CaliFinest TV. There they show how in touch they are with their target clientele. We just had to mention High Times Magazine. As a leading brand in the industry they could easily fall out of touch with the newcomers and lose some of their street cred but High Times are constantly innovating and refreshing their looks. Just look at how crazy and colorful their header is. Does any other industry leading magazine have the guts to do that? With so much information and articles being updated on their site every day it could easily get cluttered and difficult to navigate. 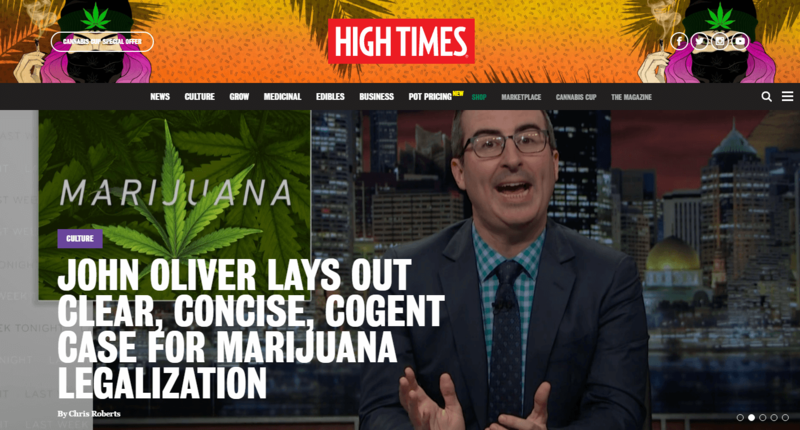 However, High Times manages to keep their web design on point and continue to push the needle forward for the marijuana industry. Awesome! 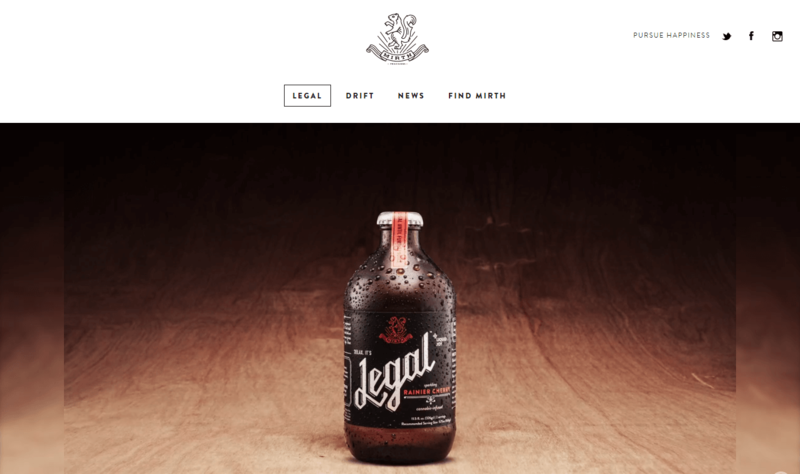 Great post about cannabis web design.